ODEON – the UK & Ireland’s leading cinema chain – has today announced it will be re-opening ODEON Wester Hailes as a brand-new ODEON Luxe cinema, making it only the second ODEON Luxe cinema in Europe and home to the largest fully-reclining iSense screen in Europe. In addition to ODEON Luxe East Kilbride, which officially launched earlier this month, film fans in Edinburgh will soon be able to enjoy the ultimate in cinema luxury when the doors re-open to the new look and newly re-named, ODEON Luxe Edinburgh West on 3rd November. 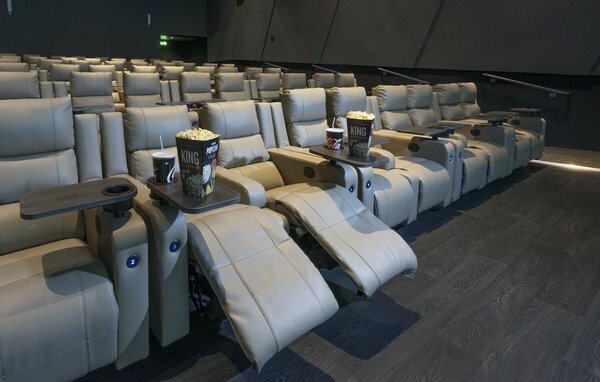 The newest ODEON Luxe cinema will become fully-reclining and truly luxurious, with 800 handmade reclining seats across eight upgraded screens, with triple the legroom and increased personal space for guests, as well as retractable tray tables and a host of new food and drink options to ensure the ultimate cinema experience. Cinema-goers will also be treated to an overhaul of the technology, including a cutting-edge 178-seat iSense screen - the largest fully-reclining iSense in Europe - delivering a truly immersive, ultra-high-definition cinema experience, with 4K projection and Dolby ATMOS sound. The improvements to the cinema come ahead of an exciting release schedule of new films, including the highly anticipated remake of Murder on The Orient Express (3rd November), the upcoming family film, Paddington 2 (10th November) and superhero epic Justice League (17th November). Guests of the cinema can choose from an extensive new range of food options, including freshly-popped popcorn, hot dogs and nachos, as well as drink options including a Coca Cola Freestyle with over 100 different flavour combinations to enjoy. ODEON Luxe Edinburgh West will also feature an all-new Oscar’s Bar, which offers guests freshly-cooked pizza and a selection of alcoholic and non-alcoholic beverages. After starting her career with ODEON as a Cinema Host at ODEON Wester Hailes, General Manager, Isla Stilley is proud to be at the helm of the new ODEON Luxe Edinburgh West.